Huge sound from an ultra-portable 1x12 cab that weighs just 22 lbs. Inspired by the excellent performance of the FATCAB, the designers of BluGuitar set out to build a compact cab that would complement BluGuitar AMP1. And the result is the Nanocab 60W 1x12 that weighs in at just 22 lbs. During the design process, BluGuitar came to a realization: An opening in the casing provides a higher bass resonance, which gives clean and slightly distorted sounds a special airiness, but the opening shouldn’t be too big. If so, you lose the important resonance and the box sounds "small." However the optimum punch for rock sounds is best achieved with a closed cabinet. This is how we came to the idea of the Nanocab's small opening, which can easily be opened or closed according to your needs. To create more warmth the speaker was mounted to the baffle and a basket weave covering was chosen. The Nanocab works with every style of play, even at low volume. Thanks to the bass-reflex harmonization, the Nanocab produces a really big sound with unexpected low-end. 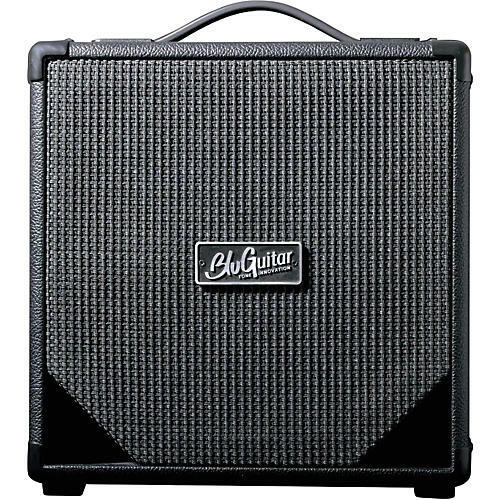 The BluGuitar Nanocab is the smallest 1x12 box with the biggest sound. Dimensions: 14.5 in. x 14.17 in. x 11 in.